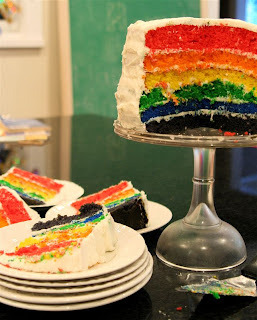 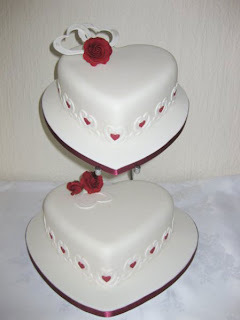 Many heart shaped wedding cakes pictures to inspire your wedding cake for that special day you have been dreaming about. 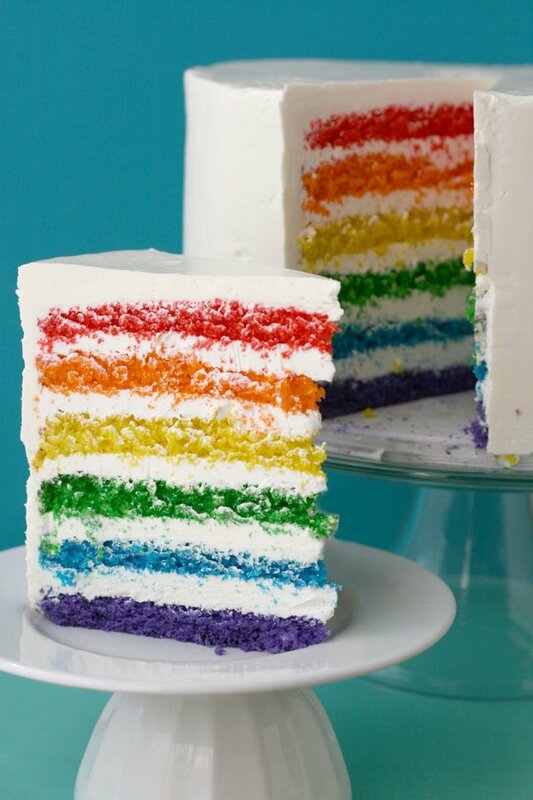 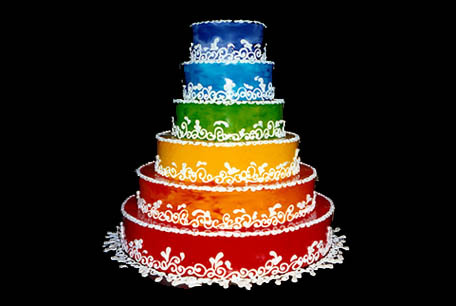 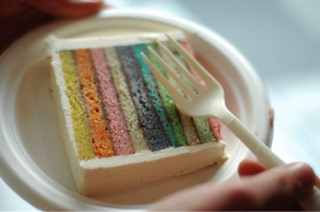 The following examples are of two tiered heart shaped wedding cakes separated by columns. 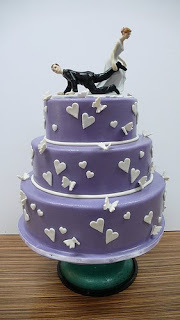 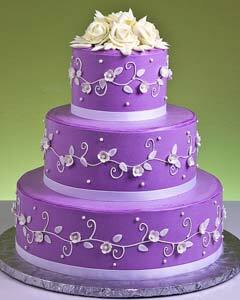 White heart shaped wedding cake with purple trimming and small purple and white flowers and ruffles. 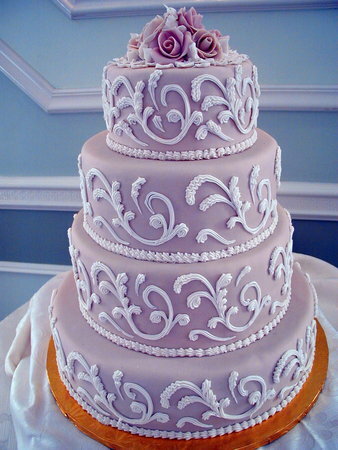 Heart wedding cake with lavender trimming. 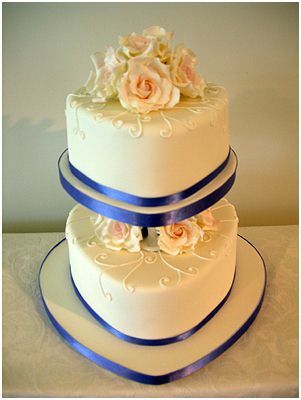 Two tier heart wedding cake with peach colored sugar roses and deep blue ribbon trimming. 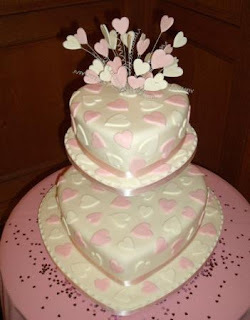 White and pink two tier wedding cake with heart pattern and heart cake topper. Heart pattern heart shaped wedding cake with white and red hearts. 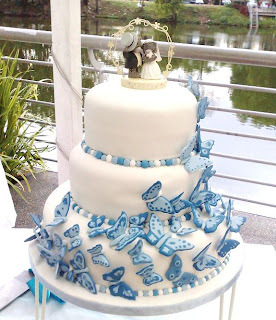 White heart shaped wedding cake with blue trimming. Ivory heart shaped wedding cake with roses. 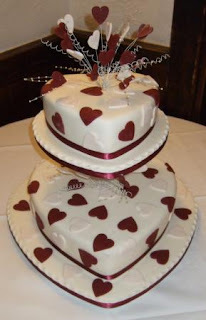 White heart shaped wedding cake with red trimming. 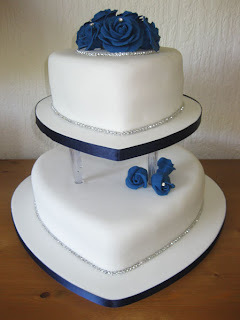 Heart white wedding cake with diamontes and dark blue sugar roses. 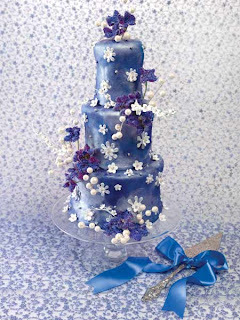 Midnight blue and white heart wedding cake. Delicious dark chocolate wedding cake over two tiers with a mountain of chocolate dipped strawberries cascading down the cake. 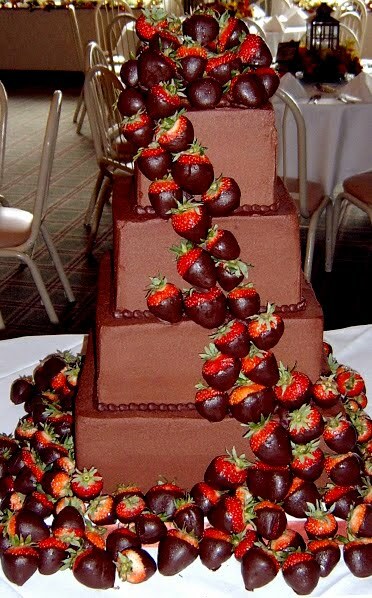 Four tier chocolate wedding cake with chocolate covered strawberries cascading down the four tiers. 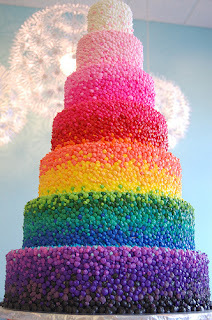 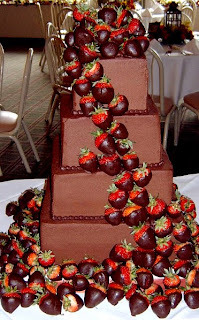 Three tier round chocolate wedding cake. 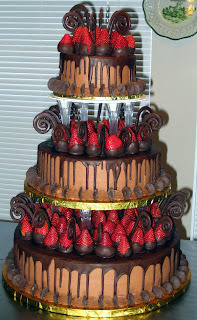 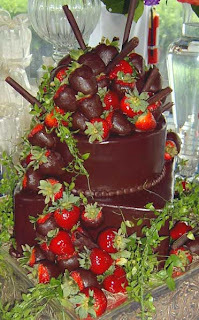 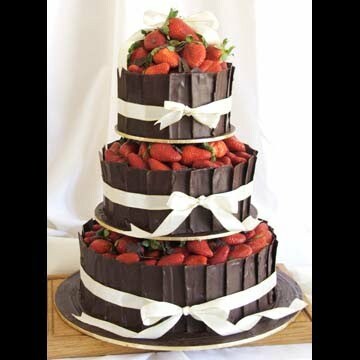 Four tier round chocolate covered cake with carefully place strawberries that are half dipped in chocolate. 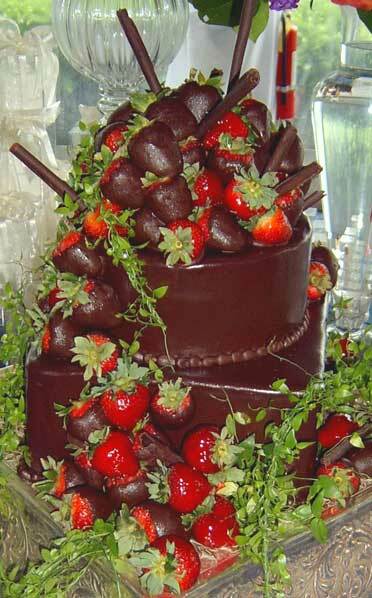 Three tier wedding cake dripping in dark chocolate with strawberries. 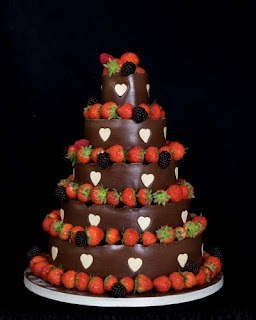 Five tier chocolate cake with white love hearts pattern and fresh strawberries. 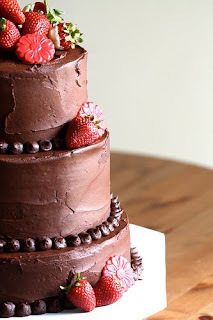 Dark chocolate wedding cake over three tiers with lots of strawberries and a white ribbon bow. Blue iced wedding cakes with lovely butterfly decorations. Perfect for a spring romance wedding. 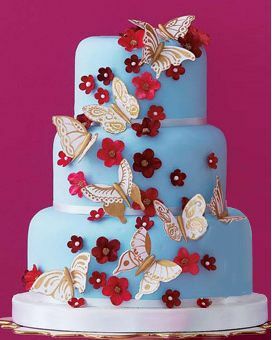 Three blue round tiered wedding cake with soft bronze and white wafer butterflies and small red flowers. 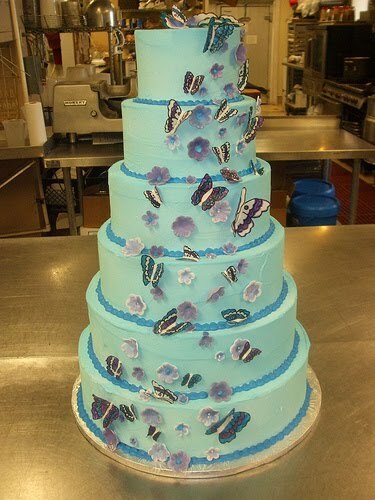 Three tiers of blue iced wedding cake with gorgeous colorful butterflies. 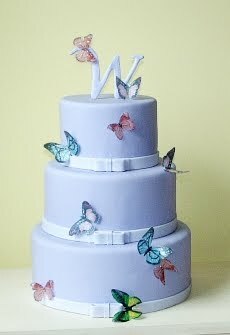 This lovely three tier bluish lavender wedding cake has edible wafer-paper butterflies fluttering about the entire wedding cake. 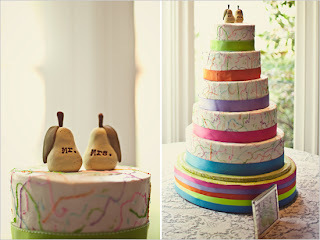 Simple edible bows and edible monogram complete this romantic and stylish cake. 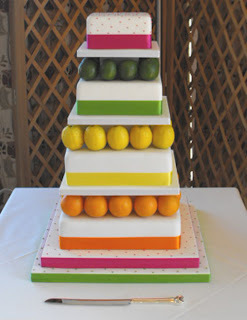 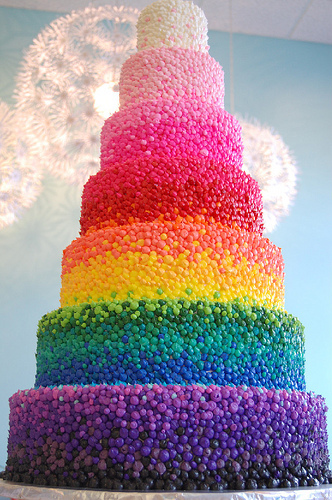 Feed you huge guest list with this tall 6 tier wedding cake. 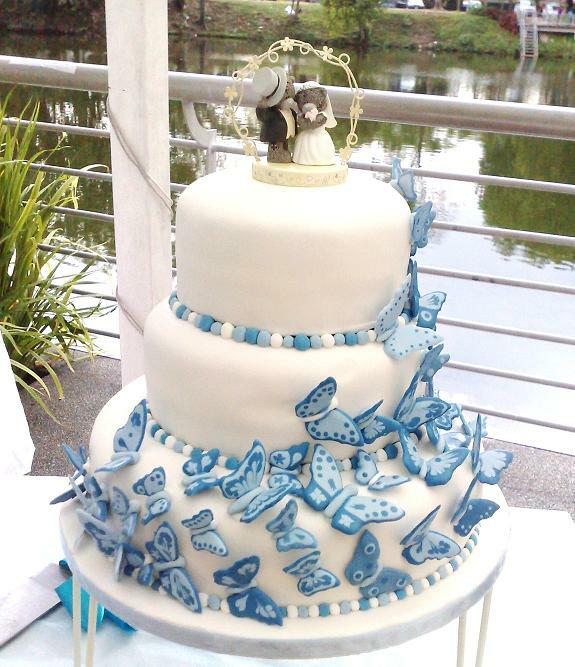 This beautiful wedding will capture everyone's attention with its round blue tiers and cascading flowers and butterflies. 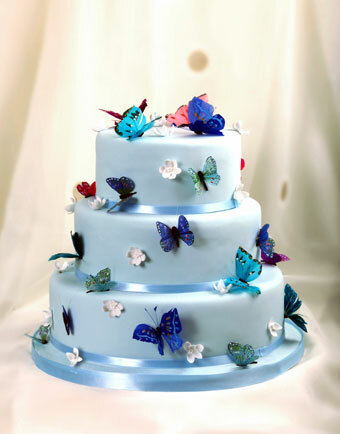 White three tier cake with blue butterflies. 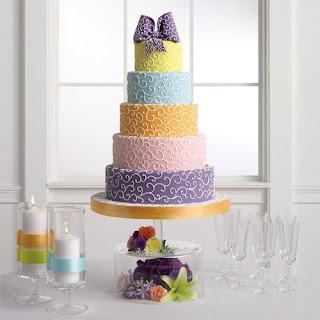 A selection of beautiful purple wedding cakes with round shaped tiers to inspire your purple color themed wedding. 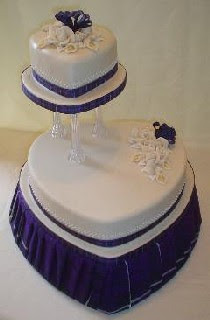 Three tier round purple wedding cake with small white flowers decorating the tiers. 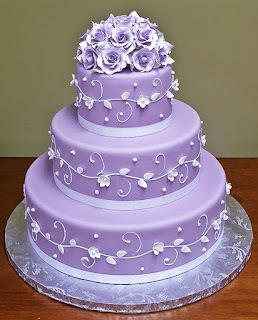 Purple wedding cake with purple sugar roses. 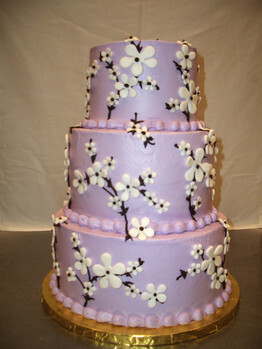 Four tier purple wedding cake with pink blossoms. 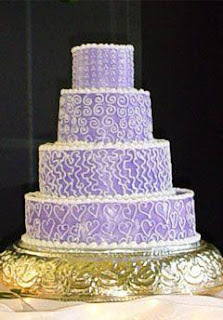 Four tier purple wedding cake with different white swirl pattern on each tier. Bright purple wedding cake with white sugar roses. Three tier dark purple wedding cake with a glossy purple icing and white daisies. 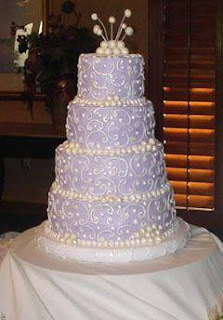 Four tier lavender wedding cake with white swirl pattern. Metallic purple three tier wedding cake with white and purple flowers. 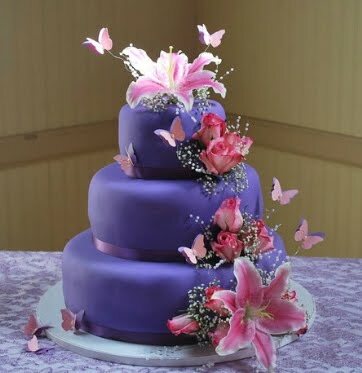 Three tier dark purple fondant wedding cake with pink lilies, butterflies and roses. Purple wedding cake over three tiers with heart and white butterflies decorating the tiers. 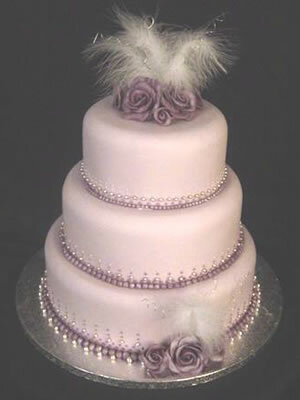 Lilac colored cake with shades of lilac piping, edible silver balls, lilac roses and white feathers. 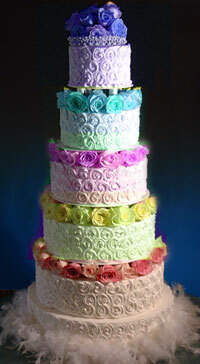 Four tier round purple wedding cake with white ornate swirls and purple sugar roses. 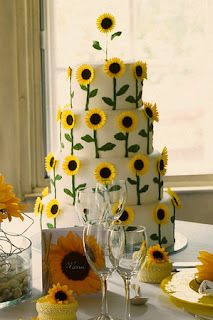 Sunflowers are amazing, bright, sunny and joyous flowers. This is a beautiful flower perfect for a summer or spring wedding, for a joyous bride who is full of color, fun and quirkiness. 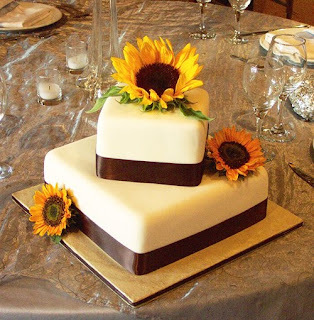 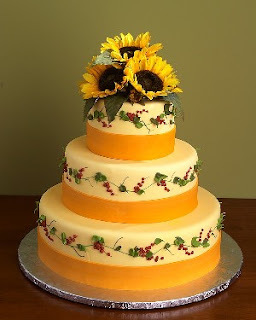 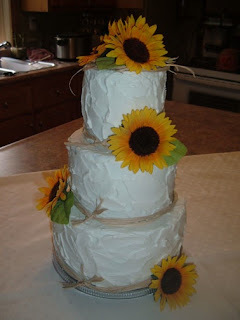 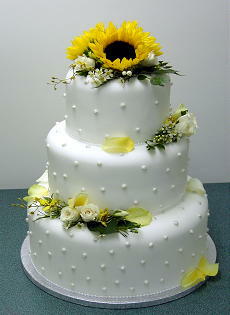 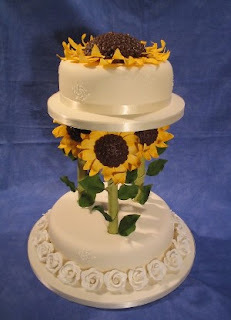 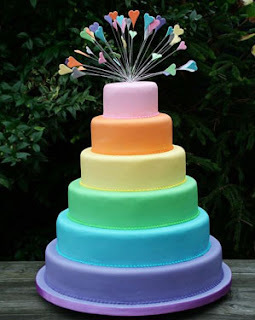 Following are many pictures of sunflower wedding cakes to inspire you. 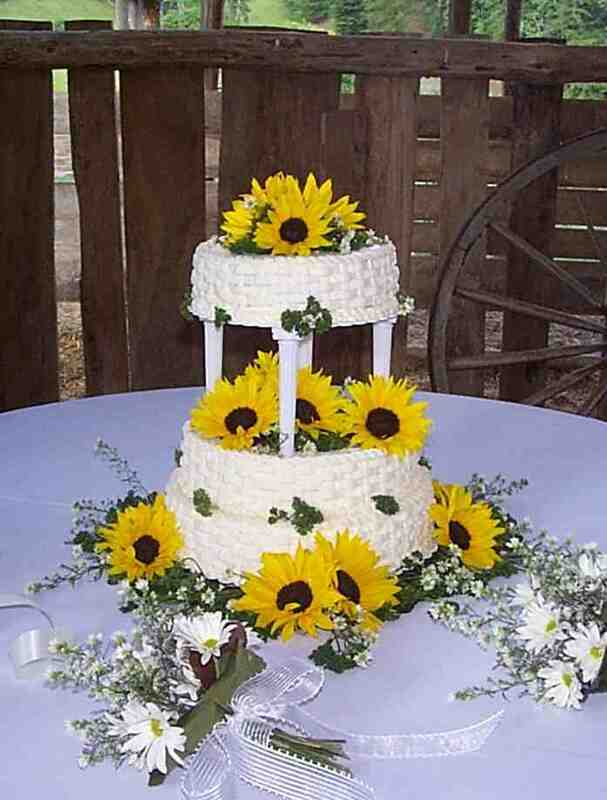 Four tier white wedding cake with lots of lovely big sunflowers cascading down the cake tiers. 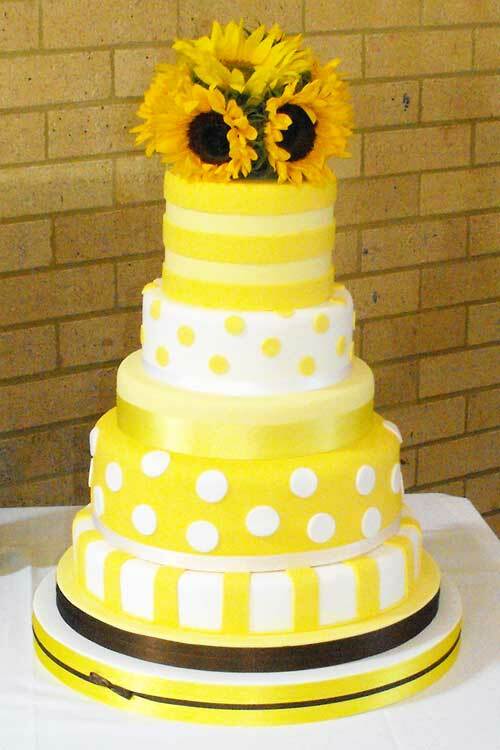 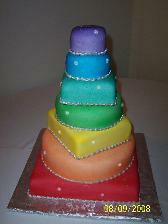 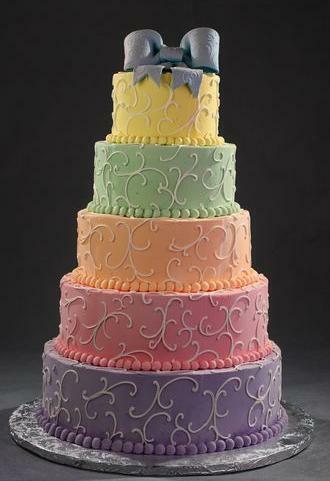 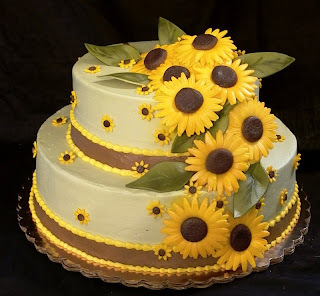 Bright and joyful four tier sunflower cake. 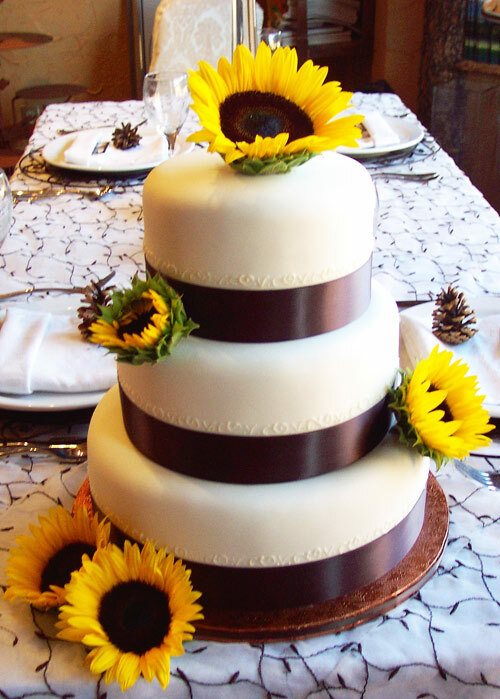 Three tier sunflower wedding cake. Three tier round white wedding cake with edible pearls small white roses and big sunflower cake topper. 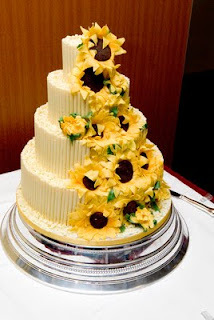 White wedding cake over three round tiers with wide black satin ribbon and huge bright yellow sunflowers. 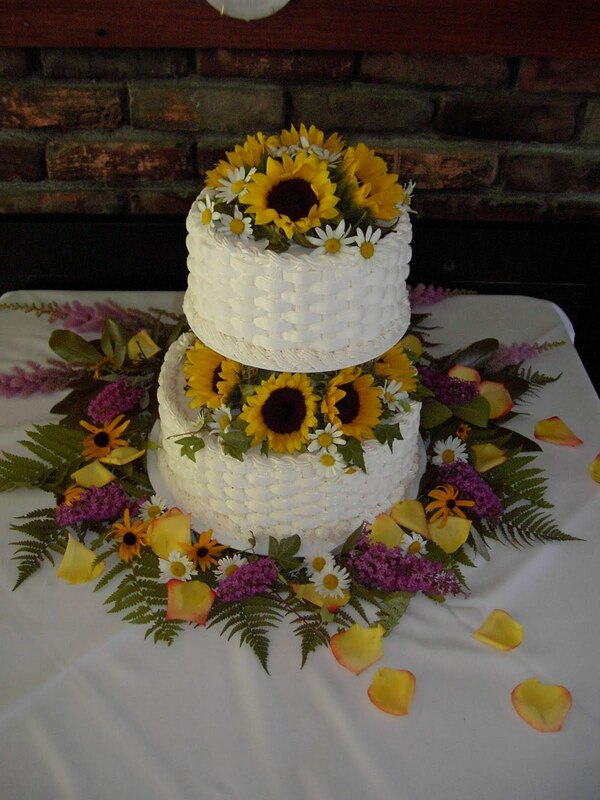 Sunflowers cascading down four tiers made out of white chocolate curls. Four tier black and white polka dot cake with orchids, yellow flowers and sunflowers. 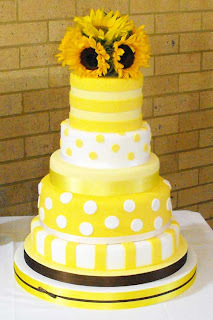 Yellow and white polka dot and stripes wedding cake with sunflower cake topper. Three tier yellow wedding cake with yellow ribbon and sunflower cake topper. Elegant two tier square wedding cake with sunflowers. 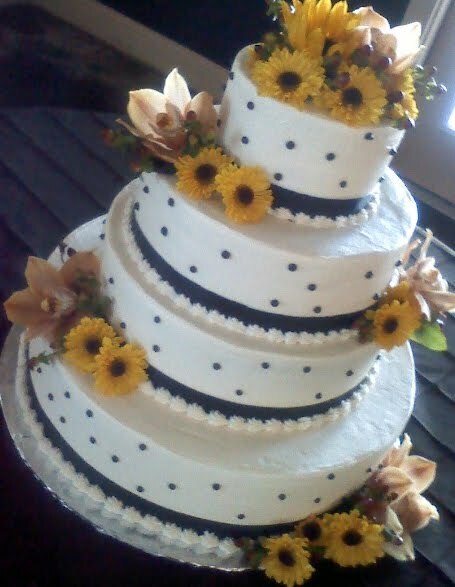 Lattice textured wedding cake with sunflowers. Two tier basket weave textured wedding cake with sunflowers. 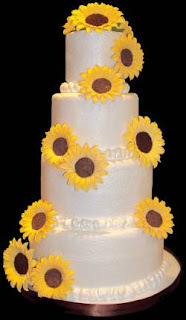 Two tier wedding cake with sunflower topper and sunflower columns separating the tiers. 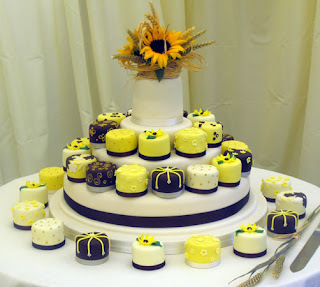 Bright and happy yellow, white and black sunflower themed mini cakes.